Linda is my fabulous mother-in-law. Linda is also a cook and baker extraordinaire who has this amazing recipe for chocolate truffles that will blow your socks off. She makes them for all sorts of occasions and brings them out when people stop by to visit. She also stores them in her fridge and thinks that no one will steal them, but she’s wrong. I’ve been known to sneak down the stairs into the kitchen, ever-so-silently open the refrigerator door and steal a truffle (or two…sometimes the hubby wants one, too) well after everyone has gone to bed. We all have our little secrets and that’s mine. Once you bite into one of these, you’ll see what all the fuss is about. They’re chocolaty, but not too dark. They’re splendid. They’re addictive. Your hips won’t thank you, but your taste buds definitely will. Go on, give them a try….you’ll thank me. Cream together butter and drinking chocolate in a food processor. Crush biscuits/cookies and add to food processor. Pour over condensed milk and blend until very smooth. Pour chocolate mixture into a bowl and cover. Chill in fridge until very firm (I usually just leave it overnight). Once firm, take teaspoon portions of mixture and roll with hands into balls. 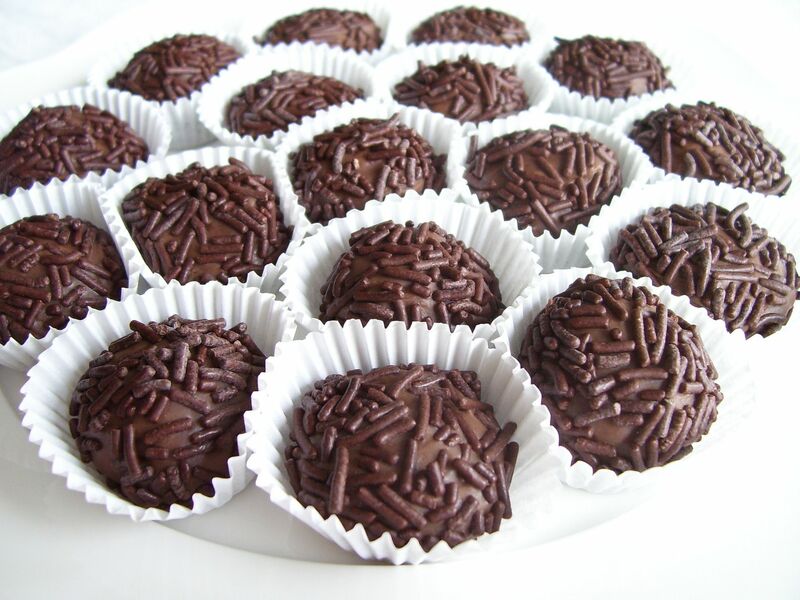 Cover in chocolate balls in sprinkles. Store in fridge until ready to enjoy!